Its Hot!! Really HOT outside! Can’t wait for winter. LETS MAKE SOME POPSICLES to cool off!! 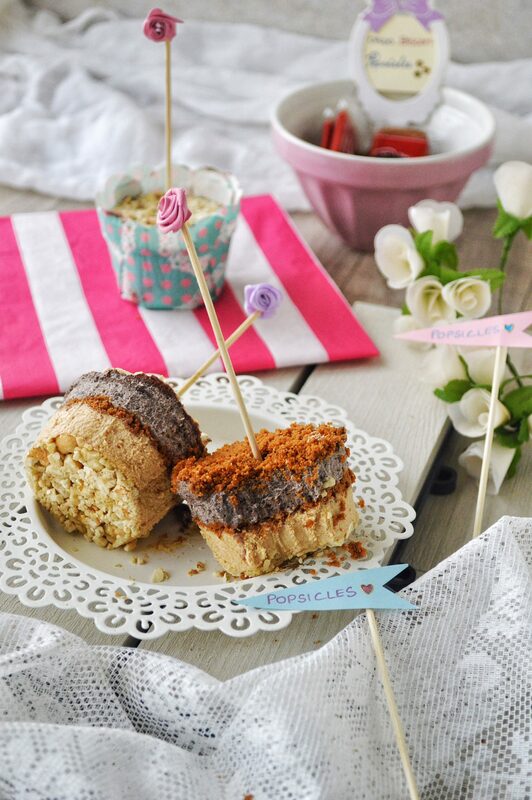 I’m talking about layered popsicles, with layers of oreo aaaand biscoff spread. I hope you’ve had a chance to try this amazing product, biscoff spread that has been all the rage for some time now and it has foodies swooning in the aisles of the supermarket. For those who have not tried them before, get ready to have your life officially changed. 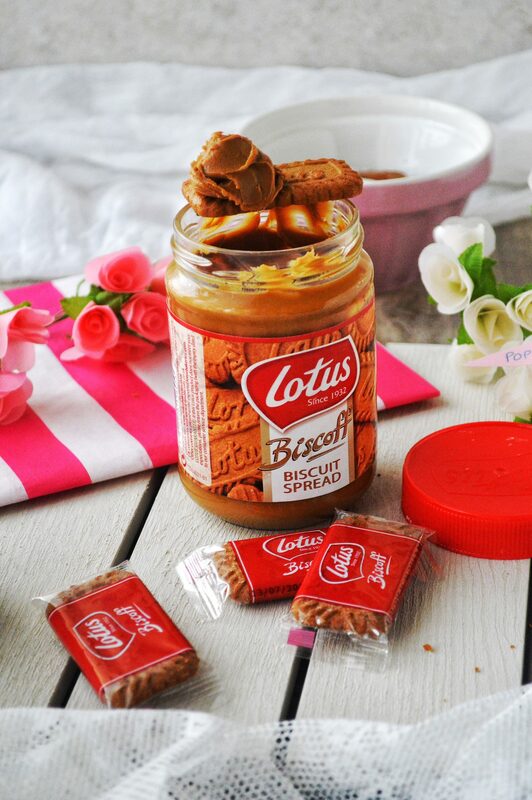 Biscoff spread is made from the bakery that makes those yummy Biscoff caramelised cookies. Not just that, it seems it is cholesterol-free, preservative-free, trans-fat free, vegan, and perhaps most importantly…. nut-free. So you can swap this for peanut butter or Nutella. This spread surely is a pure competitor for those two. These biscoff lotus cookies has been available here for some time now. It our faav cookie to have with coffee. But the biscoff spread hit the kuwait stores just recently. I love it. 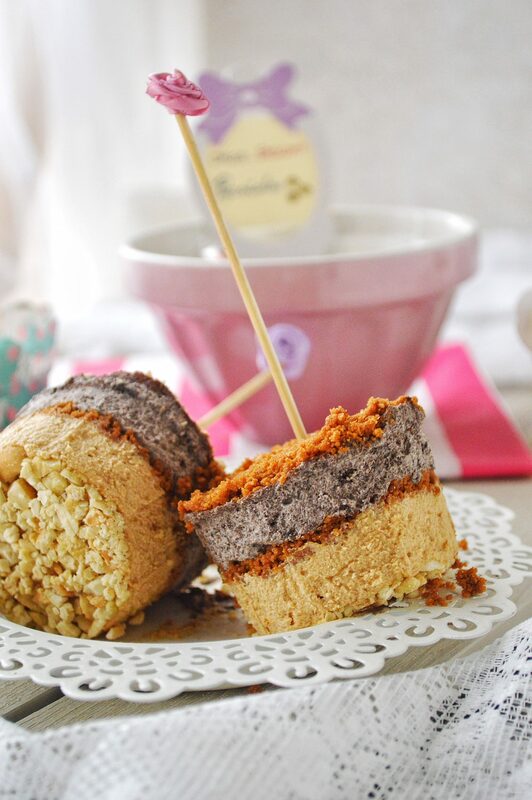 SeriousLy, it was so addictive that i finished one full jar within few days….i got another jar and instead of diving straight into the jar with a spoon, i decided to make these popsicles by combining the biscoff flavor with oreos…and it was mindblowing. 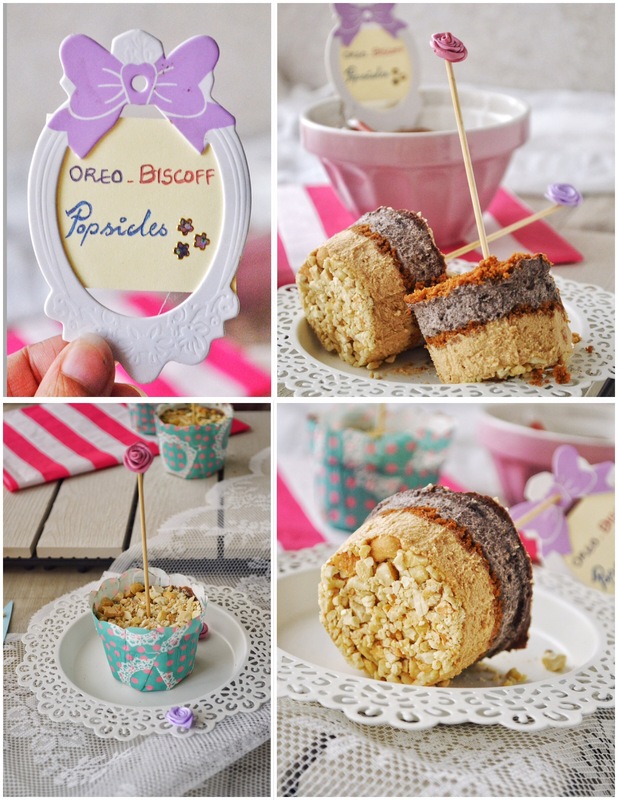 So you all stay cool and make these biscoff oreo popsicles. ✔️ If you don’t get biscoff spread in your place, you can use Nutella for one layer. Or else make two layers of oreo. Peanut butter can be used too. ✔️ If lotus biscuits are not available, use digestive biscuit or marie biscuit and mix it with melted butter. ✔️ I didn’t have the proper popsicle stick with me, so i used a wooden skewer. But it was a little difficult while eating the popsicles as the skewer wouldn’t hold the popsicles in place. So, it is best to use the proper flat stick for this. ✔️ You can make this in icecream molds too. 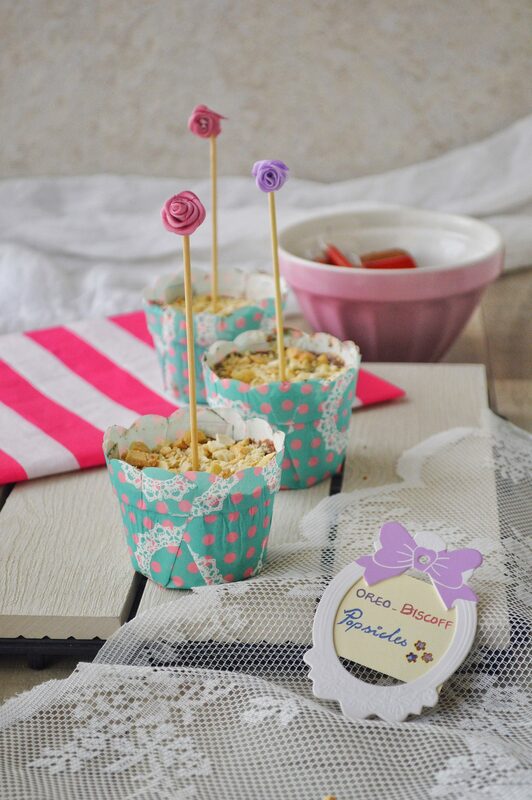 Heat biscoff in a microwave oven for 20 seconds till softened. Mix well sugar in whipping cream till dissolved. 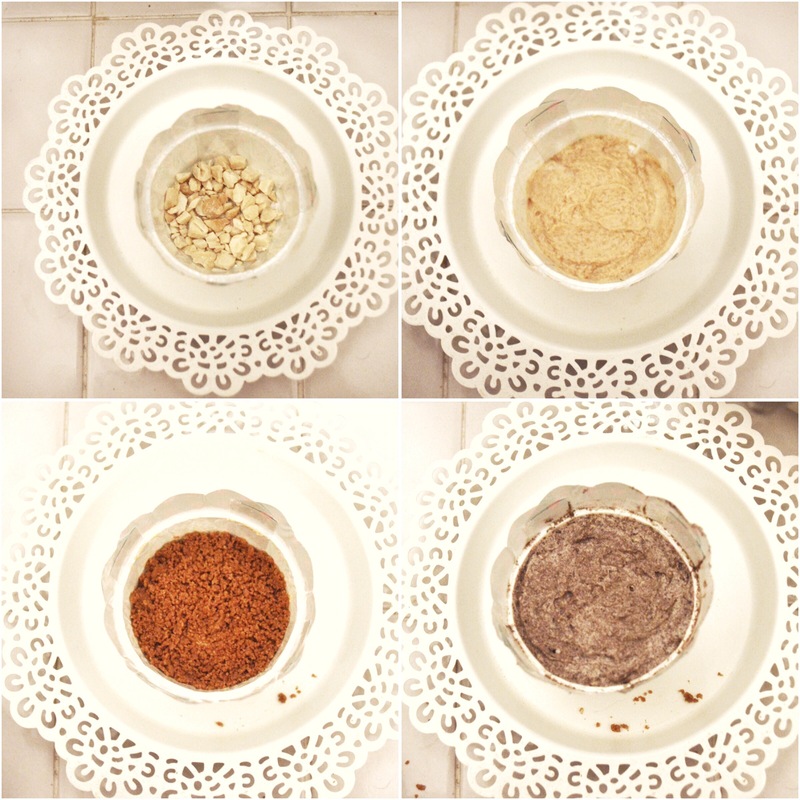 Mix in powdered oreos. Add in vanilla. 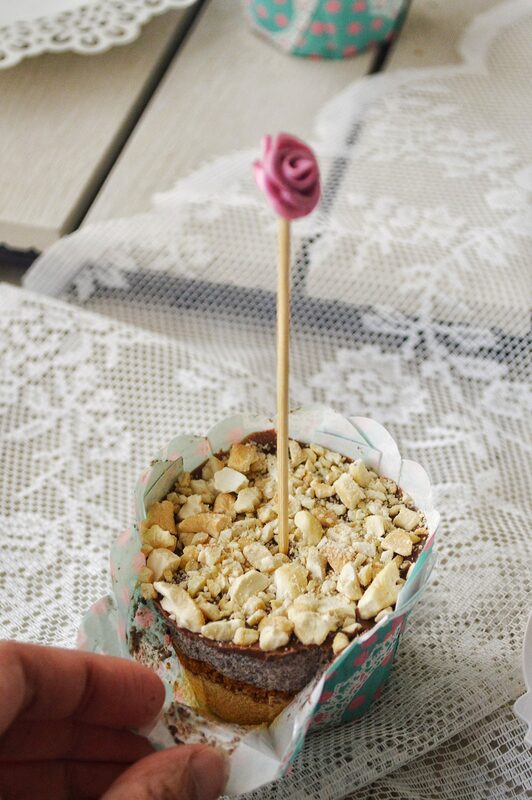 Take a small paper cup and first place a layer of cashews. 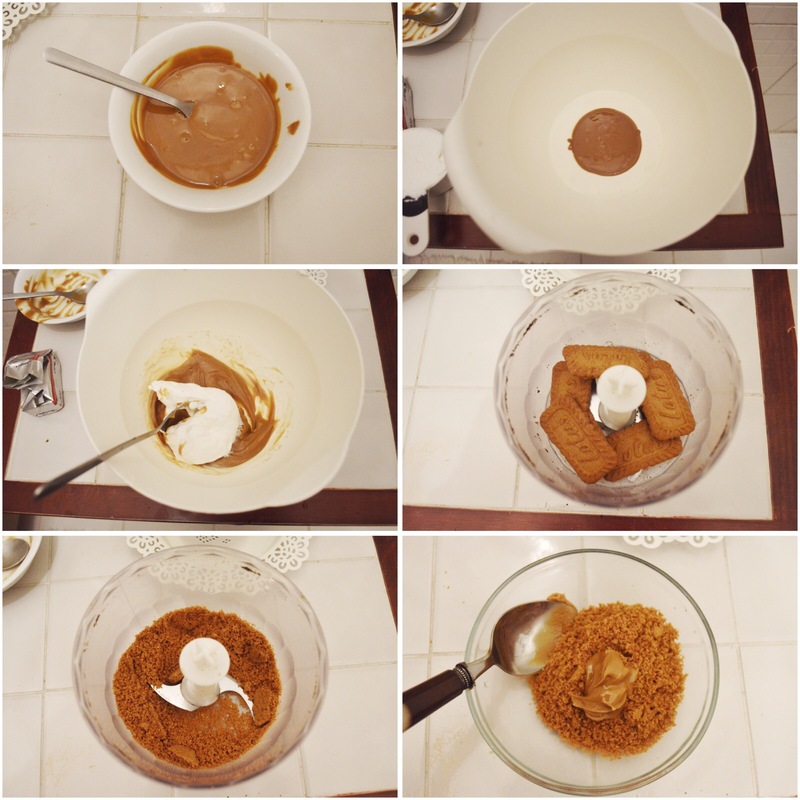 Then add a layer of biscoff mix. Next a layer of crushed cookie and butter mix. Then a layer of oreo mix. 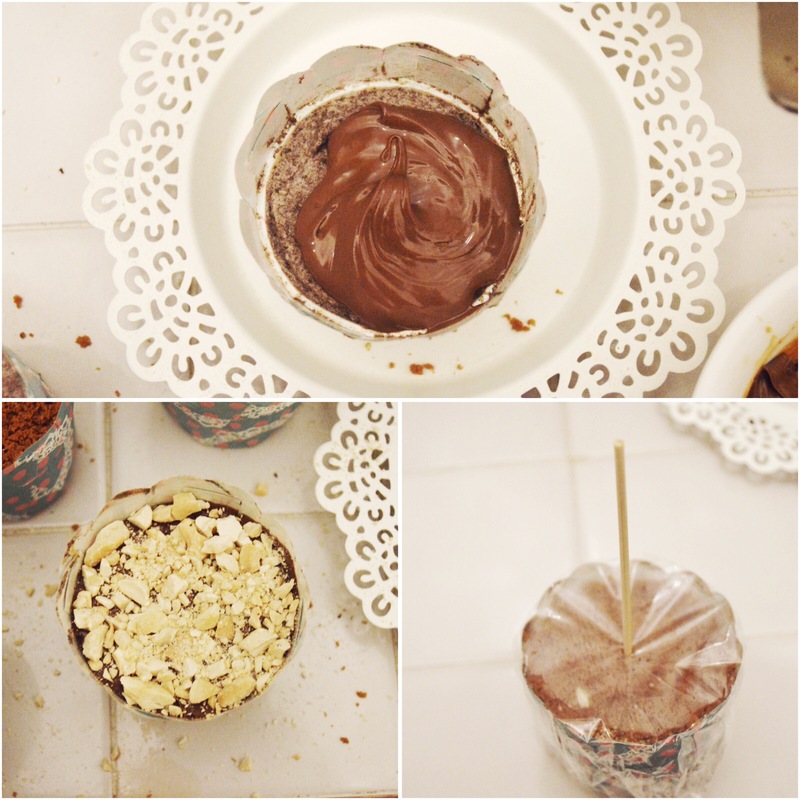 Finally add a layer of nutella and then nuts or crushed oreos. 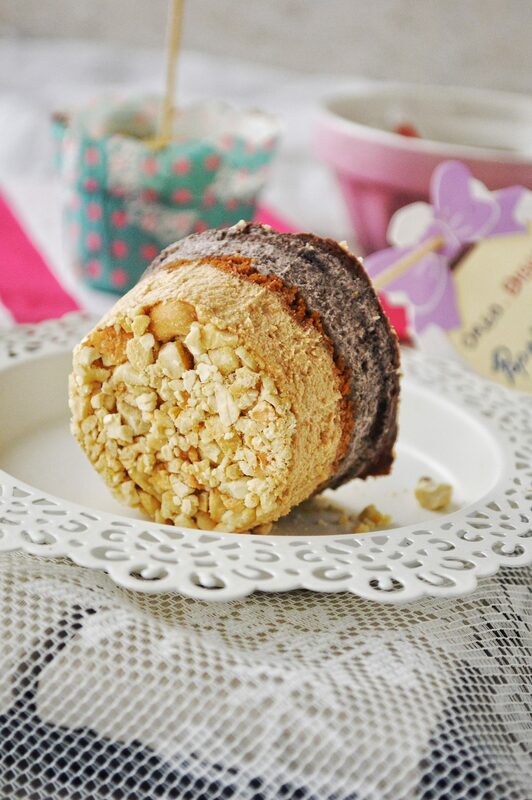 If you want, you can omit the nutella and just add crushed lotus biscuits as final layer. Keep in freezer for an hour and then place a popsicle stick in the center and freeze further for 3-4 hours. When serving just tear the paper cup and remove the popsicles off it. 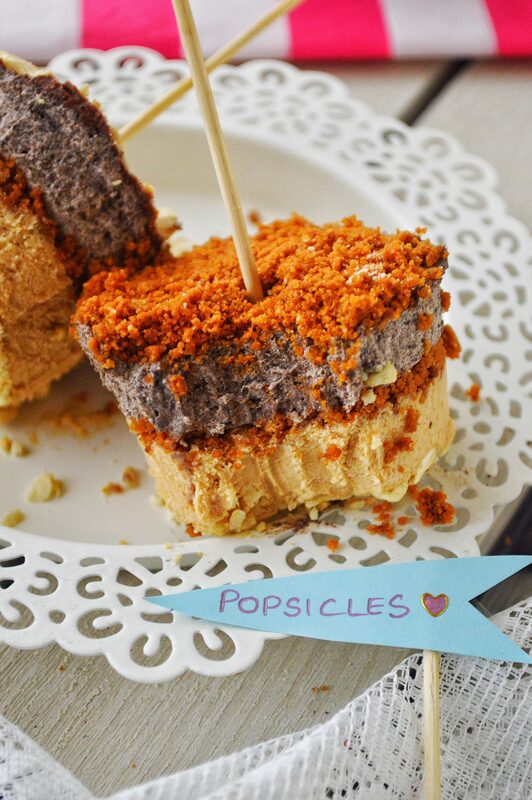 Popsicles, with layers of oreo and lotus biscoff spread. * If you don’t get biscoff spread in your place, you can use Nutella for one layer. Or else make two layers of oreo. Peanut butter can be used too. * If lotus biscuits are not available, use digestive biscuit or marie biscuit and mix it with melted butter. * I didn’t have the proper popsicle stick with me, so i used a wooden skewer. But it was a little difficult while eating the popsicles as the skewer wouldn’t hold the popsicles in place. So, it is best to use the proper flat stick for this. * You can make this in icecream molds too. Looks so yummy! I’ve been enjoying your blog! Love your photos! look so vibrant and inviting! oh wow, these are stunning! I love anything Biscoff, it’s like food of the Gods. Thank you for the wonderful recipe. A few doubts though.. 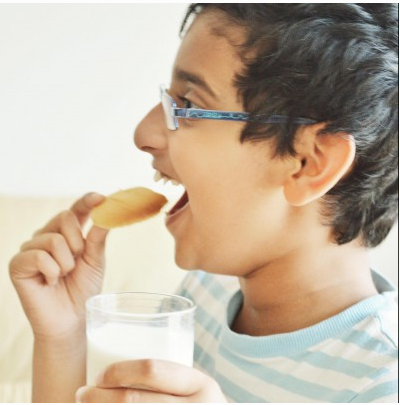 Ingredient list of biscoff popsicle calls for 1/4 cup of full cream milk. But during the preparation it doesn’t seem to be used. Please clarify. Also during the preparation is the whipping cream whipped after mixing with the ingredients before folding it in? Im so sorry, that was a mistake in the ingredients list. Milk is not used, instead whipping cream is used. I edited the recipe. Thanks for pointing out. For both the popsicle recipe you have to use whipping cream as well as whipped cream. 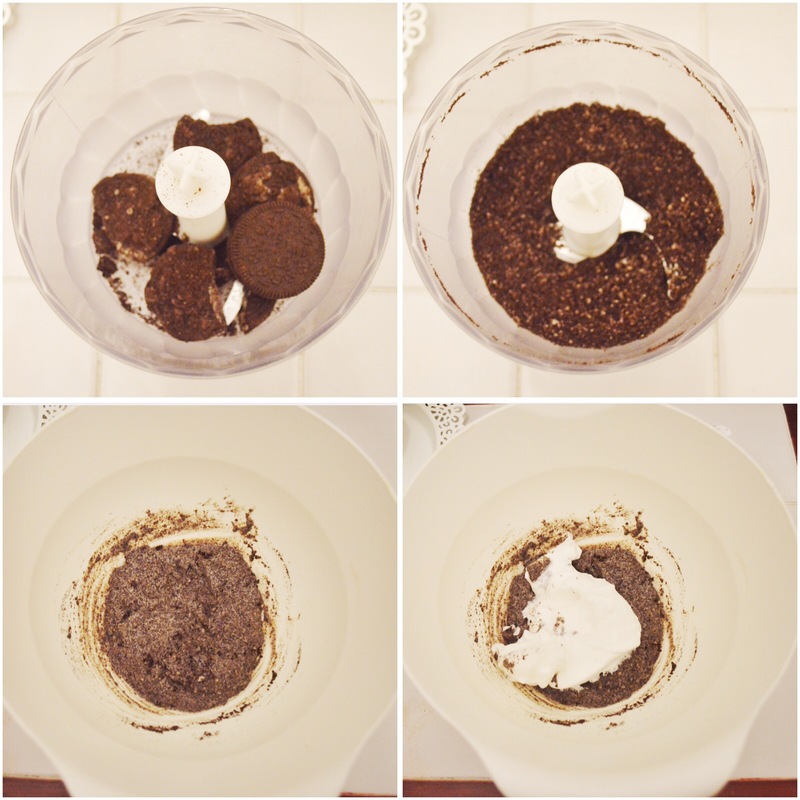 First you have to mix the oreo/biscoff spread with the cream without whipping it. Then while folding, you have to use whipped cream. Got it? Feel free to ask if not clear. can i get a recipe on oreo truffles and oreo cheesecake? ?